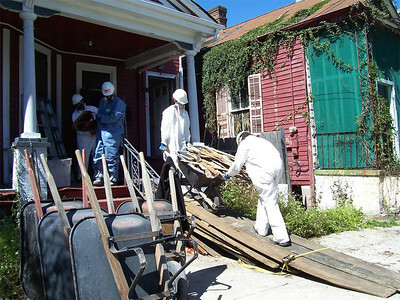 A group of students from Valparaiso University, Valparaiso, Ind., muck out a house in the New Orleans area as part of 2007 "What a Relief!" -- an opportunity for students to spend their spring break helping survivors of the 2005 hurricane season rebuild. Lutheran Disaster Response is organizing What a Relief! Valparaiso is an independent Lutheran university. 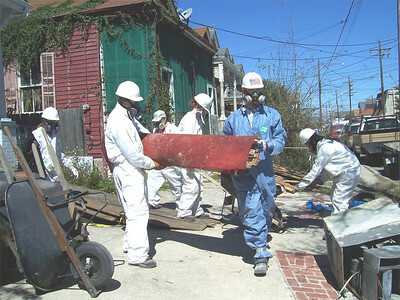 A group of students from Valparaiso University, Valparaiso, Ind., haul debris from a house in New Orleans as part of 2007 "What a Relief!" -- an opportunity for students to spend their spring break helping survivors of the 2005 hurricane season rebuild. Lutheran Disaster Response is organizing What a Relief! Valparaiso is an independent Lutheran university. 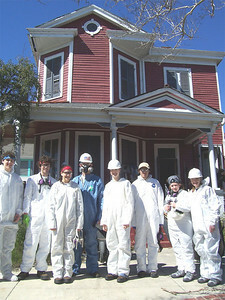 A group of students from Valparaiso University, Valparaiso, Ind., are taking part in 2007 "What a Relief!" -- an opportunity for students to spend their spring break helping survivors of the 2005 hurricane season rebuild. 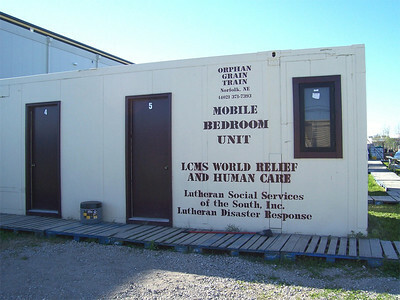 Lutheran Disaster Response is organizing What a Relief! Valparaiso is an independent Lutheran university. Participants of the 2007 "What a Relief!" -- an opportunity for students to spend their spring break helping survivors of the 2005 hurricane season rebuild -- are provided safety equipment. 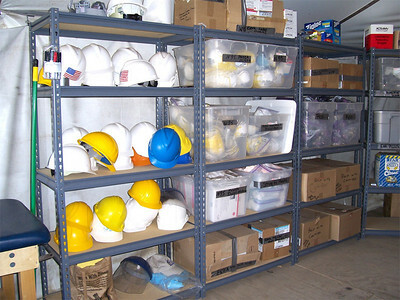 Lutheran Disaster Response is organizing What a Relief! Volunteers reside in "mobile bedroom" units at Camp Atonement, Metairie, La. Disaster response volunteers dine and relax after a hard day's work in the "dining tent" at Camp Atonement, Metairie, La. 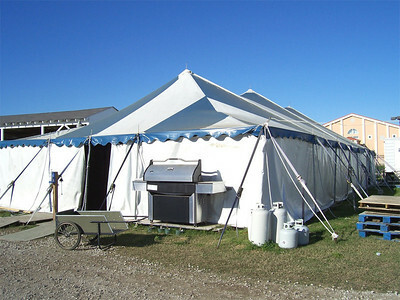 T-shirts adorn the interior of the "dining tent" at Camp Atonement, Metairie, La. 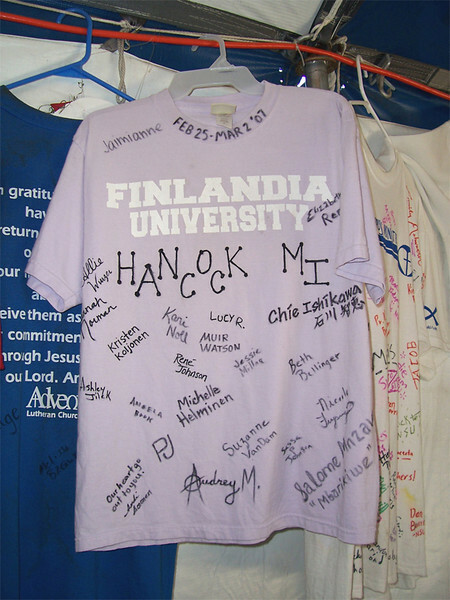 It has become tradition for volunteers to sign and leave behind a t-shirt representing their school and/or home congregation. Finlandia University is one of 28 colleges and universities of the ELCA. 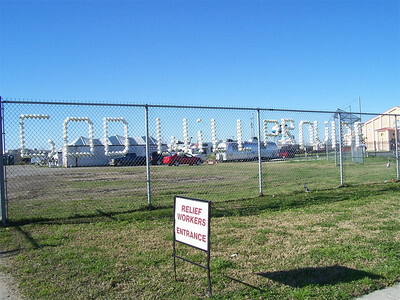 "God Will Provide" is etched in paper cups on the entrance gate of Camp Atonement, Metairie, La.